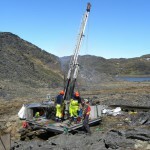 Greenland gives greenlight for yellowcake export (1) June 8, 2016 Greenland and Denmark’s parliaments have passed legislation to regulate uranium export from Greenland. 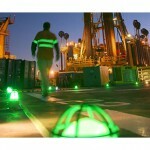 SA wind technology to enhance mine safety (0) June 8, 2016 New South Australian technology is being developed to enhance visibility and worker safety on mining and construction sites. 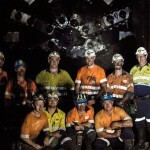 Local jobs pushed at new QLD mine (2) June 8, 2016 Cloncurry Shire Council has said it will push to keep jobs local following the completion of a new mine in Queensland. Arrium collapse investigation has begun (3) June 8, 2016 A forensic investigation into Arrium’s collapse is underway, reconstructing events focusing on the six months prior to the company’s April 7 administration. OZ Minerals reach Zinifex class action settlement (0) June 8, 2016 OZ Minerals have reached a settlement with a class action carried out by former Zinifex shareholders. 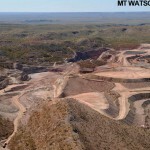 AWE, Mitsui combine for Waitsia bid (0) June 8, 2016 AWE and Japanese energy giant Mitsui have joined together to bid up to $200 million for Origin Energy’s stake in Waitsia. Another worker injured in IT work basket crush incident (2) June 8, 2016 A worker has been seriously injured after being crushed in an integrated tool carrier work basket incident underground. BHP exits Indonesian coal asset (6) June 8, 2016 BHP has divested its stake in IndoMet Coal, exiting Indonesia completely. Rio Tinto continues to buy back existing notes (0) June 8, 2016 Rio Tinto has launched a new cash tender offer for US$3 billion of its existing notes, as it continues to drive down debt levels. Is mining back in a bull market? (1) June 7, 2016 After years of brutal readjustment from the boom, is mining well and truly out of the downturn? Coats Group announces two acquisitions (17) June 7, 2016 Industrial thread and craft company Coats Group has announced the acquisition of Gotex and Fast React Systems. Miners wasted the boom, PwC says (7) June 7, 2016 Nearly a third of capital expenditure spent by the top 40 major miners since 2010 has been wasted, according to a new PricewaterhouseCoopers’ report. 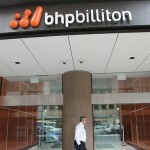 BHP announces new carbon capture partnership (0) June 6, 2016 BHP has announced a new building block in its climate change strategy with the announcement of a carbon capture partnership with Peking University. 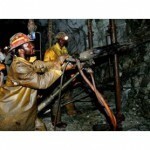 Gold companies to appeal class action over silicosis (1) June 6, 2016 Major South African gold mining companies will appeal the court decision allowing workers in the country to seek compensation after contracting lung diseases. WorleyParsons wins Johan Sverdrup construction contract (0) June 6, 2016 WorleyParsons has been awarded a contract for the construction of three bridges connecting the four platforms and two flare booms at Statoil’s Johan Sverdrup project. 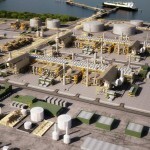 UGL sees ongoing issues with Ichthys, threatens legal action (11) June 6, 2016 Blame is being flung between UGL and its client over ongoing delays at the Ichthys SMP and CCPP projects, and may result in a $200 million legal claim. $7 million in equipment missing from Pilbara project (2) June 6, 2016 Seven million dollars’ worth of plant materials and equipment has disappeared at a mine construction site in the Pilbara. Luxembourg back space mining ambitions (2) June 6, 2016 Luxembourg’s Government has put 200 million Euros into its plans to become a global space mining hub. 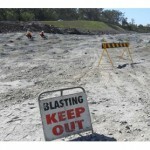 Department of Planning fines Rio Tinto for breaching blasting noise limits (0) June 6, 2016 The NSW Department of Planning & Environment has issued a penalty notice to Rio Tinto’s Hunter Valley Operations for exceeding noise levels during blasting. 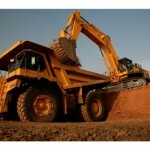 Komatsu launches new environmentally friendly dozer (0) June 3, 2016 Komatsu has released the new D61 EXi/PXi-24 dozer, adding to its range of intelligent control dozers. 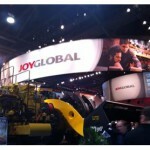 Joy Global records share price increase (0) June 3, 2016 Mining equipment manufacturer Joy Global’s shares have had a significant increase on the back of service sales increases and strong cost cutting measures. Deutsche Bank to advise Arrium Moly-Cop sell off (0) June 3, 2016 Arrium’s administrator KordaMentha will appoint Deutsche Bank for the sale of Arrium’s grinding media business, Moly-Cop. 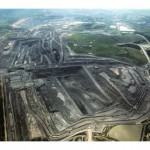 Peabody Australia sees massive losses (4) June 3, 2016 After recording close to $3 billion in losses, the future of the Australian arm of the now bankrupt Peabody Energy looks precarious. 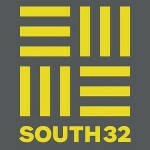 South32 to cut 270 jobs (18) June 3, 2016 South32 will cut 270 back office jobs in Australia, Singapore, and South Africa in an effort to cut costs during low share prices. 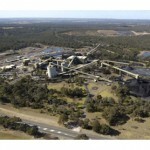 Glencore to close Tahmoor coal mine (0) June 2, 2016 Glencore will close the Tahmoor coal mine in 2019, as weak coal prices continue to hammer the industry. Sustainable silica extraction process patent lodged (0) June 2, 2016 Leaf Resources have lodged an Australian patent application for a new silica extraction process using plant waste. Vivid green diamond sale breaks two world records (0) June 2, 2016 Two world records have been set by a fancy vivid green 5.03 carat diamond on Tuesday at Christie’s Hong Kong Magnificent Jewels sale, selling for $US16.8 million (AUD$23 million). New drilling program to boost greenfields exploration (45) June 2, 2016 A world first drilling program trailing new technologies in South Australia is expected to help revive greenfields minerals exploration in Australia. Roy Hill wins project of the year award (0) June 2, 2016 Roy Hill has been recognised as the Project of the Year at the 2016 Project Management Institute Australia awards. New chair of Minerals Council announced (0) June 2, 2016 Vanessa Guthrie has been appointed the new chair of the Minerals Council of Australia. 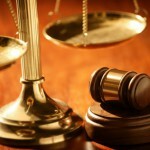 ASIC under fire for supposed disclosure rule changes (0) June 1, 2016 Changes to disclosure rules for resource projects has received backlash from mining industry groups over claims it will affect a company’s ability to properly inform investors. Rox Resources to unveil large zinc resource (2) June 1, 2016 Rox Resources is expected to announce a large zinc resource at its Teena zinc prospect southeast of Darwin in the Northern Territory. 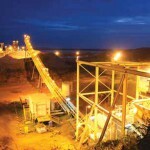 Evolution Mining may sell gold mine (1) June 1, 2016 Speculation is growing over Evolution Mining’s plans to sell its Pajingo gold mine in Queensland. Linc Energy files for Chapter 11 (0) June 1, 2016 Linc Energy’s US oil and gas business has been placed into bankruptcy, after facing a potential default on its debt. Sandvik enters joint venture with Chinese machinery company (0) May 31, 2016 Sandvik has entered a joint venture agreement with China’s Lingong Group Jinan Heavy Machinery company for the production of surface and underground mining equipment. 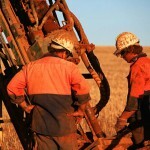 Indigenous employment increasing in QLD mining sector (0) May 31, 2016 A survey on indigenous participation has reported a 20 per cent increase in the number of indigenous Australians employed in the resources sector in 2015. 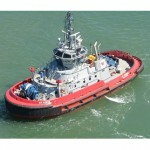 Fortescue wins tender for second Port Hedland towage licence (0) May 31, 2016 Fortescue’s subsidiary Pilbara Marine has won the tender for the second towage licence at Port Hedland. RCR win mining contracts (5) May 31, 2016 RCR has been awarded $108 million in construction contracts from MMG and Rio Tinto. Administrator hopeful of pre-election federal co-investment for Arrium (0) May 31, 2016 Arrium’s administrator has said it is “quietly confident” federal assistance could be delivered by the July 2 election, though the government has said it wouldn’t be rushed into a decision. 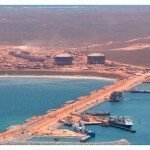 Gorgon LNG approved for fourth train (0) May 30, 2016 Chevron has received federal environmental approval to build a fourth processing line for its Gorgon LNG project on Barrow Island following the recommencement of production earlier this month. Sandvik unveils new jaw crusher (24) May 30, 2016 Sandvik have released the new QJ341+ jaw crusher with a double deck pre-screen that provides high amplitude for separation. New technology on show at QME 2016 (0) May 30, 2016 Some of the leading names in Australian mining will be attending the Queensland Mining and Engineering Exhibition (QME) in Mackay, 26th – 28th of July. Anglo American selects new De Beers CEO (0) May 30, 2016 Anglo American have appointed Bruce Cleaver as CEO of diamond company De Beers, with Philippe Mellier stepping down after five years of service. La Trobe to divest from fossil fuels (2) May 30, 2016 La Trobe University plans to completely divest from fossil fuel related companies, the first to divest fully in Australia. 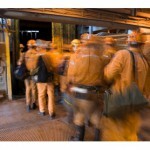 New underground mining jobs forecast for QLD (883) May 30, 2016 Underground mining in the Bowen Basin is expected to increase by 20 per cent in the next ten years according to Resource Industry Network director Mick Crowe. 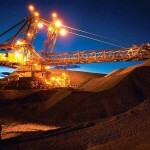 Glencore rumoured to be Anglo coal mine buyer (0) May 30, 2016 Glencore has reportedly made a joint bid with Apollo to buy Anglo American’s Grosvenor and Moranbah coal mines. 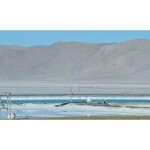 Merger looms for major lithium companies (0) May 27, 2016 Galaxy Resources and General Mining called a trading halt yesterday to hold talks to finalise a $700 million merger, another facet in lithium boom. Space miner wins funding to explore…on earth (0) May 27, 2016 Asteroid miner Planetary Resources has won millions in funding to deploy satellites to measure the earth’s mineral composition. More than 4000 job cuts in Mackay since 2012: CFMEU report (4) May 27, 2016 A report by the Construction, Forestry, Mining, and Energy Union (CFMEU) has revealed 4656 jobs have been lost in Mackay region mines in the last four years. 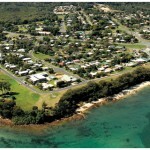 North Stradbroke Island to end sand mining in 2019 (0) May 26, 2016 The Queensland parliament has passed a bill to end sand mining on North Stradbroke Island in 2019, delivering another blow to the state’s resources sector. Gina Rinehart no longer Australia’s richest person (0) May 26, 2016 Gina Rinehart has been knocked off the number one spot on the BRW’s Rich 200 list. High arsenic levels detected in Stawell gold mine dust (0) May 26, 2016 Samples of dust blown offsite from Victoria’s Stawell gold mine have been found to contain high levels of arsenic. Minerals Council calls for more funding to regional mining communities (0) May 26, 2016 The NSW Minerals Council (NSWMC) 2016/17 Budget Submission has outlined more infrastructure funding for mining communities in regional NSW to strengthen economic development. American coal billionaire spotted at QLD coal mine (5) May 26, 2016 Chris Cline, a US billionaire with a long history in coal, has been spotted touring Anglo American’s Moranbah coal mine. 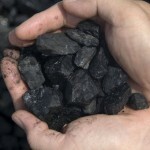 China’s coal cuts lifting price (20) May 26, 2016 Planned Chinese coal production cuts are finally making an impact on price, with expectations of a 20 per cent price growth in value by the end of 2016. K+S Group to launch new salt mine (0) May 26, 2016 German salt and potash miner K+S has acquired mining licences for the Ashburton salt project. 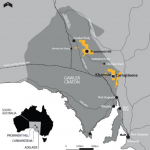 Macmahon sees gold mining contract extension (0) May 26, 2016 Macmahon has been awarded a 24 month extension to its existing St Ives gold mine contract. 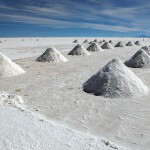 Chile goes cold on lithium (3) May 25, 2016 Despite the growing demand for lithium, political instability in Chile, which holds one of the world’s largest deposits, threatens the viable mining of its reserves. 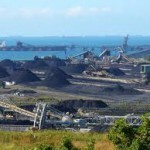 Newcastle Coal Infrastructure Group stabilises financial situation (0) May 25, 2016 The financial health of the Newcastle Coal Infrastructure Group (NCIG) coal terminal is being reviewed for potential downgrading by ratings agency Moody’s. Rio Tinto appoints new head of technology and innovation (1) May 25, 2016 Rio Tinto has appointed Stephen McIntosh as its acting group executive, technology and innovation, replacing previous position holder Greg Lilleyman. Minibus accident at Ichthys LNG facility (0) May 25, 2016 A mini bus collided with a stationary elevated work platform at the Ichthys project onshore LNG facility in Bladin Point, Darwin on Monday. New Weldmatic 250i, 350i and 500i welding machines (0) May 25, 2016 Welding Industries of Australia (WIA) has introduced three new inverter models to its industry-leading Weldmatic range of MIG and multi-process welding machines. 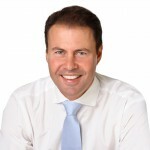 Resources minister dismisses FIFO tax changes (4) May 24, 2016 Federal resources minister Josh Frydenberg said the Turnbull government has no plans to alter FIFO worker tax arrangements. 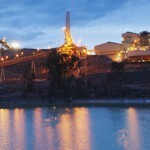 Henty gold mine close to restart (0) May 24, 2016 Tasmania’s Henty Gold Mine is set to restart production once its acquisition by Diversified Minerals is approved by the Victorian Supreme Court. 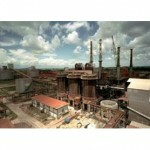 Arrium sale expected to be complete by year’s end (0) May 24, 2016 Arrium is expected to be on the market in late-July, with most of the restructure and sale set for completion by the end of the year. Worker dies after truck flip over (1) May 23, 2016 A 61 year old truck driver from Burnside has died after a tip truck flipped onto its roof at a quarry in Plumpton, north west of Melbourne. Minerals Council hits back against calls for stricter industry regulations (0) May 23, 2016 The Independent Inquiry into the Environmental Protection Authority (EPA) Report has recommended more red tape for Victoria’s mining industry. Iluka inadequate rehab allegations quashed (3) May 23, 2016 Iluka Resources have been cleared by Victoria’s mining department over accusations of improper dumping and rehabilitation practices at its Douglas mineral sands mine. 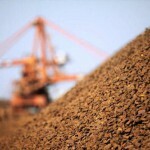 Iron ore stable as majors prepare for additional supply (0) May 23, 2016 Iron ore has begun stabilising after a series of falls, with a stronger price point likely to see more marginal players re-enter the market. Shree Minerals hopeful of long term mine viability (0) May 23, 2016 Shree Minerals is confident their Nelson Bay River mine is viable following speculation it would close due to environmental breaches. Arrium closure would wipeout 40 per cent of Whyalla workforce: report (0) May 23, 2016 A new study from Flinders University has put the cost of Arrium Whyalla factory closing at 40 per cent of all jobs in the city being lost. 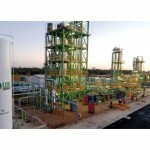 New sulphate removal process developed (4) May 20, 2016 Veolia Water Technologies have developed the sulphate removal technology LoSO4 to treat wastewater from mining operations for discharge or reuse. 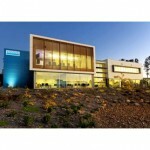 Shree Minerals may close iron ore mine (3) May 20, 2016 Speculation is growing over Shree Minerals’ plans to abandon its Nelson Bay River iron ore mine in Tasmania following environmental breaches. 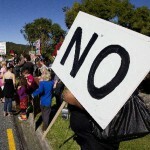 Appeal against Rio Tinto Mt Thorley coal mine expansion dropped (0) May 20, 2016 A local community group has dropped its long running appeal against Rio Tinto’s proposed Mt Thorley Warkworth extension. Ausdrill sells drilling tool manufacturer (10) May 20, 2016 Ausdrill has sold its Drilling Tools Australia business to Robit, for $66 million. BC Iron appoints new CEO (2) May 19, 2016 Alwyn Vorster has been appointed as BC Iron’s new chief executive officer, with managing director Morgan Ball stepping down from both his position and the board. 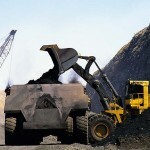 One dollar coal mine reopens, creates new jobs (2) May 19, 2016 The Isaac Plains coal mine reopened yesterday, highlighting the promising long term prospects for the state’s resources sector. Rio Tinto uncovers ancient Aboriginal artefacts (0) May 19, 2016 The discovery of rare indigenous artefacts on Rio Tinto’s planned Pilbara Western Turner Syncline expansion may effect continued development. Caltex Australia and BP win procurement and supplier awards (0) May 19, 2016 Caltex Australia and BP have been recognised for their innovative procurement and sourcing programs, netting two major awards at the 2016 CPO of the Year award. 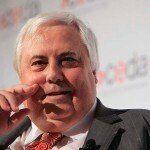 Palmer to face court of Queensland Nickel collapse (0) May 19, 2016 Clive Palmer has been ordered to attend court regarding the management of Queensland Nickel, as the Federal Government appoints special purpose liquidators for the failed business. Pink diamond sets new world record (0) May 18, 2016 A rare vivid pink pear-shaped diamond was sold for $42.8 million at a Sotheby’s auction on Tuesday, breaking the record for vivid pink diamonds. Gorgon LNG recommences operations (6) May 18, 2016 Chevron’s Gorgon LNG project has resumed operations, nearly two months after stopping production. Sandvik develops new top hammer drill bit (0) May 18, 2016 Sandvik has created a new design for top centre drill bits. 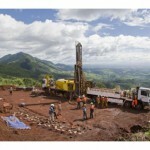 Rio Tinto advance Simandou iron ore project (0) May 18, 2016 Rio Tinto has taken its embattled Simandou iron ore project to the next step, submitting its bankable feasibility study. New range of designs for portable screens released (0) May 18, 2016 Superior Industries have launched a new set of standard designs for its portable processing plants including a Guardian Screen Plant and Aggre-dry Wash Plant. 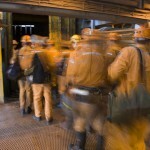 Tasmania steps back on mining inspector pay cut (0) May 18, 2016 Tasmania’s government has reversed its decision to cut mining inspector pay. Toro sees successful uranium benefication at Wiluna (0) May 18, 2016 Toro Energy’s early benefication testwork at its Wiluna uranium mine has resulted in massive grade increases. Fortescue contractor sees fine over workshop death (0) May 18, 2016 A maintenance contractor has been fined $20,000 for the death of Allen Zuvela at Fortescue’s Christmas Creek mine in 2013. New continuous 3D modelling software released (0) May 18, 2016 ARANZ Geo has released Leapfrog Central, a new model management platform designed to support continuous 3D modelling in mining applications. New black lung case identified (13) May 17, 2016 An eighth worker has been identified with black lung; the second coal miner in less than a week. 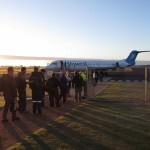 Rossair wins Challenger mine FIFO contract (0) May 17, 2016 South Australia’s Rossair charter flights have been awarded a contract to provide (FIFO) services to workers at WPG’s Challenger gold mine. Thyssenkrupp announces new business ‘reorganisation’ (0) May 17, 2016 A new group transformation program had led to massive organisational change at thyssenkrupp’s industrial solutions division. Geoscientists’ employment rate continues to plummet (7) May 17, 2016 Employment opportunities for geoscientists in Australia have continued to drop during the first quarter of 2016. 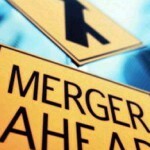 RPM acquires iSolutions (1) May 17, 2016 RungePincockMinarco has taken over asset management software company iSolutions. 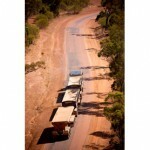 FMG celebrate eight years of shipments (0) May 17, 2016 Fortescue has celebrated its ‘lucky eight’ year anniversary of its first shipment to Chinese customers. World’s largest plane transports massive mining generator to Perth (0) May 16, 2016 Ukraine’s Antonov An-225 Mriya landed at Perth Airport on Sunday to deliver a 117-tonne generator to South 32’s Worsley Alumina. 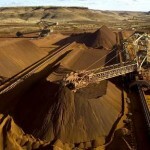 South Australia announces new iron ore strategy (5) May 16, 2016 The South Australian Government has announced a new magnetite strategy, committing to an annual export goal of 50 million tonnes of iron ore by 2030. 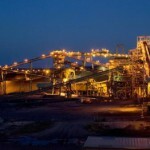 Pilbara miners slam Port Hedland sale to Utah Point (0) May 16, 2016 Pilbara miners have slammed the State Government’s approach to selling the Port Hedland facility after Utah Point generated enough cash to pay off the government’s $235 million infrastructure investment. Miners take class action over silicosis (0) May 16, 2016 Nearly half a million current and former miners in South Africa are seeking damages from gold mining companies after contracting lung diseases. 2000 protesters storm coal mine (19) May 16, 2016 As the international environmental campaign against fossil fuels, Break Free, continues, thousands of protesters have blockaded a coal mine in Germany. Mining CEO pleads guilty to misleading market (0) May 16, 2016 The CEO of Waratah Resources has pled guilty to charges of misleading the market. 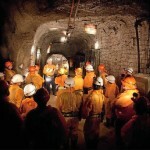 Rio Tinto to reopen mine following safety concerns (0) May 13, 2016 Rio Tinto will resume operations at its Richards Bay Minerals (RBM) mine after workers were locked out for five days due to safety concerns over youth gangs. 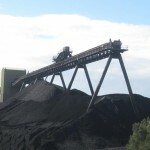 Hume Coal calls for changes to land access laws (0) May 13, 2016 Hume Coal is seeking changes to the law after losing access to farmland for mining in NSW’s Southern Highlands. ‘Environmentally friendly’ leaching agents found containing cyanide (0) May 13, 2016 Highly toxic sodium cyanide has been discovered in a processing product claiming to be environmentally friendly. New case of black lung identified (1) May 13, 2016 Another Queensland coal miner has been diagnosed with black lung. Santos agrees to Fair Work decision on worker’s pay (0) May 13, 2016 Santos has accepted Fair Work rulings over work conditions and payment of employees at its GLNG plant. WA mining amendment bill and budget receives mixed reaction (0) May 13, 2016 The West Australian Government’s latest budget held both good and poor news for the resources industry, as the state puts forward a new mining bill inquiry. New report finds workplace injuries caused by insufficient PPE (0) May 13, 2016 A new report has revealed the high rate of injuries caused by insufficient PPE. 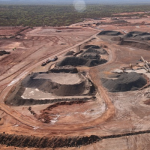 Grosvenor mine produces first coal (5) May 13, 2016 Anglo American’s Grosvenor mine has produced first coal ahead of schedule, raising its divestment prospects. 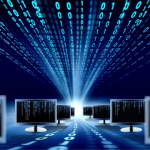 FLSmidth partner with GE on minerals processing data platform (0) May 12, 2016 GE and FLSmidth have partnered to create develop the minerals processing Industrial Internet of Things. 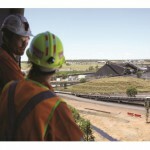 New mine set for QLD, welcomed by Mackay Council (0) May 12, 2016 The construction of a new mine in Queensland is set to create 400 jobs, after receiving support from the Mackay Regional Council. 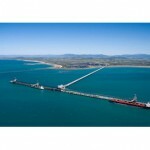 BMA’s Hay Point cuts 20 jobs (1) May 12, 2016 Twenty people have been sacked from BMA’s Hay Point Coal Terminal in Queensland. New modular impact beds for load zones (0) May 12, 2016 Flexco have added modular impact beds to their line of load zone solutions. 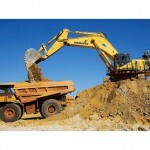 Mining equipment rental market forecast to grow (0) May 12, 2016 A new report forecasts that the global mining equipment rental market will grow at a CAGR of 3.36 per cent between 2016 and 2020. New underground truck engine developed (22) May 12, 2016 Volvo Penta, in collaboration with Sandvik, have developed the new TAD1643VE-B engine for Sandvik’s latest underground mining trucks. 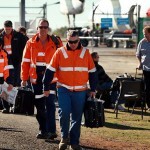 Rio Tinto workers cut in Yarwun restructure (0) May 11, 2016 A number of works have been cut at Rio Tinto’s Yarwun facility as the low alumina price continues to bite. Chatree Thailand closes over health concerns (0) May 11, 2016 Kingsgate Consolidated’s troubled gold mine, Chatree has been forced to close again over suspected metal poisoning. Volvo taking automated vehicles underground (0) May 11, 2016 Volvo is demonstrating the underground capabilities of its self-driving trucks, following on from its ‘platoon of automated trucks’ journey across Europe. Landowners win case against coal mine (0) May 11, 2016 A group of landowners in NSW’s Southern Highlands are celebrating a win after a six-year case to stop Hume Coal’s land access. BHP announces increase in exploration (4) May 11, 2016 BHP is turning its eye towards future growth as it announces a renewed focus on exploration. New super fine crusher developed in South Australia (0) May 11, 2016 South Australia’s IMP technology (IMPTEC) have developed an energy efficient super fine crusher that reduces communition costs. Is iron ore’s rally over? (23) May 11, 2016 Iron ore’s reversals from its US$70 high are continuing, as the metal slipped close to US$51 per tonne. Gindalbie appoint new CEO (0) May 10, 2016 Gindalbie Metals has appointed Chris Stevens as CEO. GR Engineering win APLNG maintenance contract (0) May 10, 2016 GR Engineering’s Upstream Production Solutions (Upstream PS) has signed an agreement with Origin Energy to provide maintenance at its APLNG operations in Queensland’s Surat Basin. John Deere releases new motor graders (0) May 10, 2016 John Deere has released the new G Series motor grader which features a series of productivity enhancements. Orica half-year net profit slides as mining weakness continues (0) May 10, 2016 Orica’s net profit has fallen by nearly a third, partly due to the settlement with the Australian Taxation Office. Ausenco win processing plant contract (4) May 10, 2016 Ausenco has been awarded a $91 million gold processing plant contract. 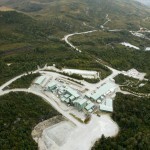 Freeport sells billion dollar mine to Chinese miner (0) May 10, 2016 Freeport McMoRan has sold its largest holdings in Africa to China Molybdenum for more than US$2 billion. 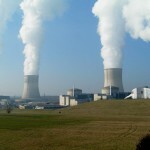 SA can benefit from nuclear power: Royal Commission report (0) May 10, 2016 The South Australian Chamber of Commerce (SACOME) has welcomed the release of the Nuclear Fuel Cycle Royal Commission’s report supporting of uranium mining in the SA. 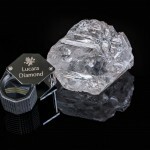 Sixth largest diamond sold for US$63 million (0) May 10, 2016 Lucara diamond’s 813 carat diamond, discovered in Botswana’s Karowe mine in November 2015, has been sold for US$63 million (AU$86 million). 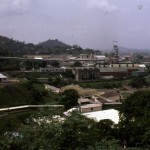 Security at Obuasi mine worsening (23) May 10, 2016 Security at AngloGold Ashanti’s Obuasi mine in Ghana has continued to deteriorate despite efforts by Ghanaian authorities to enforce law and order. 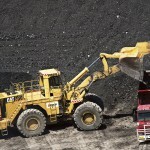 Workers to go at West Wallsend coal as mine winds down (0) May 9, 2016 Another 40 workers have been cut from Glencore’s West Wallsend coal mine as it prepares to close. Glencore buys stake in Atlas Iron (1) May 9, 2016 Glencore is stepping into iron ore in Australia, after buying a stake in Atlas Iron. Anti-coal blockade hits Newcastle port (8) May 9, 2016 Anti-coal protestors lined Newcastle’s Horseshoe Beach on Sunday, as their blockade prevented the movement of coal from the port. Australia joins global transparency initiative in the resources sector (0) May 9, 2016 Australia is joining the Extractive Industries Transparency Initiative (EITI), an international standard for increased transparency and accountability in the resources sector. Atlas Copco launches battery powered loader (862) May 9, 2016 Atlas Copco has launched its newest zero emissions underground loader, setting a new benchmark in operator safety. RCR win Newcrest contract (3) May 9, 2016 RCR Tomlinson has won a contract for a new materials handling facility at Newcrest’s Cadia Valley Operations. 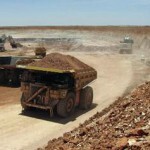 Gina Rinehart’s Hancock Prospecting appoints new CEO (0) May 9, 2016 Garry Korte is moving from CFO of Roy Hill to take the reins of Hancock Prospecting, from July 1. 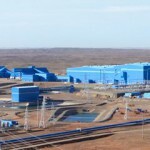 Rio Tinto’s Oyu Tolgoi moves underground (0) May 9, 2016 Rio Tinto has approved underground development of its tier one Oyu Tologoi copper gold mine in Mongolia, with development set to commence mid 2016. Underground decline to start at Carrapateena, new jobs to be created (2) May 9, 2016 OZ Minerals is ramping up work on its massive Carrapateena copper deposit, with decline construction slated for the coming months. Caterpillar launches renewable power system (5) May 6, 2016 Caterpillar has released the Cat Microgrid technology, a suite of power systems that combine renewable energy sources with traditional power outlets. Iron ore slips below US$60 (0) May 6, 2016 Iron ore’s rally appears to be receding, as the metal slides below US$60 per tonne. Caterpillar develops new digital technology strategy (0) May 6, 2016 Caterpillar has launched “The Age of Smart Iron”, its new strategy to be the industry leader in efficient, productive, safe, and profitable digital solutions. Terex launches new portable impactor (3) May 6, 2016 Terex Minerals Processing Systems has released the new CRH1313R portable impactor and screen plant for high throughput production. New space mining joint venture developed (1) May 6, 2016 A partnership between Deep Space Industries and Luxembourg has been created to develop space mining technology. 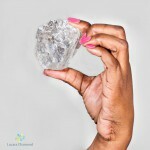 Second largest single diamond set to reach $93million (0) May 6, 2016 The world’s second largest rough cut diamond, the size of a tennis ball, is expected to be valued at more than CAD$90 million at auction. 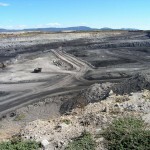 Tasmanian mining minister rejects conflict of interest claims (0) May 5, 2016 Tasmanian’s newly appointed mining minister, Adam Brooks, has rejected conflict of interest claims made against him by the state opposition. Deswik to launch caving tool at MassMin (0) May 5, 2016 Deswik will have its new caving tool on stand at MassMin 2016, in Sydney. Rio Tinto look to 60 to 90 day payment terms for larger suppliers (2) May 5, 2016 Rio Tinto will put forward its previously mooted extended payment terms, pushing payment out to between 60 and 90 days, for its multinational and largest suppliers. 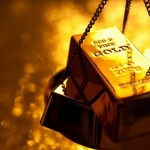 Could gold rise above US$1500? (4) May 5, 2016 Ongoing strength in gold is reversing the forecasts for the metal, but can it rise above the US$1500 benchmark again? Komatsu releases new wheel loader (0) May 4, 2016 Komatsu has released the new WA500-8 wheel loader equipped with a Tier 4 certified engine. Australian Rail Track Corporation kept under Government ownership (0) May 4, 2016 The proposed sale of the $4 billion Australian Rail Track Corporation has been canned by the Federal Government this week as it pursues its ambitious Melbourne-to-Brisbane inland rail project. WA gold project receives mining approvals (0) May 4, 2016 Empire Resources Penny’s Find project has received the greenlight from the WA DMP. 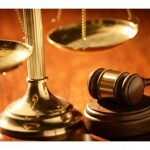 Calls to stop tax benefits for activist groups (3) May 4, 2016 A Federal inquiry has recommended changing the tax status of activist groups claiming to be environmental charities while engaging in illegal activity. BHP and Vale face new US$43 billion Samarco lawsuit (0) May 4, 2016 Brazilian Federal prosecutors have begun civil proceedings against BHP and Vale joint venture operation Samarco , seeking compensation for social, environmental, and economic damages. World first mapping trial for Tasmanian tin mine (0) May 4, 2016 Tin junior Elementos has partnered with Australian geophysical services company Geo9 to conduct a world-first mapping system trial at its Cleveland mine in northwest Tasmania. Large violet diamond unearthed at Argyle (0) May 3, 2016 Rio Tinto’s Argyle mine in WA has discovered a large violet diamond, dubbing it “The Argyle Violet”. 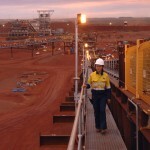 Fortescue pays off billions in debt (0) May 3, 2016 Fortescue has issued a US$650 million repayment notice for its 2019 secured term loan, a week after it began the repayment of US$577 million worth of notes last week. Atlas Copco unveils hyper-precise production drill (1) May 3, 2016 Atlas Copco has demonstrated the extreme precision of its new Simba S7 production drill by performing pool tricks shots in an underground mine. Sandvik launches new tunnelling jumbo (5) May 3, 2016 Sandvik has released its new tunnelling jumbo, the DT912D. Pink truck fleet delivers message of hope (5) May 3, 2016 Gina Rinehart’s Roy Hill mine truck fleet painted pink to raise breast cancer awareness and highlight growing role of women in mining. Gold shoots past US$1300 mark (0) May 3, 2016 Gold has defied market expectations, rising above US$1300 for the first time in more than a year. Ansell sells protective footwear business (2) May 2, 2016 Ansell has announced the sale of its Onguard footwear business, including a US factory, to Dunlop Industrial and Protective Footwear for an undisclosed amount. Donaldson mine enters care and maintenance (0) May 2, 2016 Yancoal’s Donaldson coal mine has moved to care and maintenance, with the majority of the workforce deployed to nearby mines. Trimble releases new haul truck monitoring system (0) May 2, 2016 Trimble have released the Loadrite H2250 Haul Truck Monitor for rigid body haul trucks. Atlas Copco expands its range of tower lights (0) May 2, 2016 Atlas Copco have extended their range of HiLight towers to seven models, including four LED solutions, suitable for the industrial sector. Gorgon LNG to resume production (0) May 2, 2016 The US$54 billion Gorgon LNG project is set to recommence following the repair of mechanical problems. Juniors continue to seek outside investment (0) May 2, 2016 As the resources landscape continues to decline, junior miners are continuing to seek investment outside the sector. 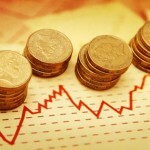 Has downturn reached the bottom? Albanese says yes (26) May 1, 2016 Former Rio Tinto CEO Tom Albanese believes the commodity downturn has reached the bottom of the trough, and is on its way up once more. 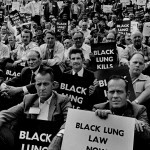 Calls for coal dust monitoring group to battle black lung (1) April 29, 2016 A new senate report is calling for a national coal dust monitoring group to be created following the re-emergence of black lung. FIFO industry loses recreation leave battle (6) April 29, 2016 FIFO workers hopes have been quashed in court after the Fair Work Commission ruled recreation leave would not be included in termination notices. 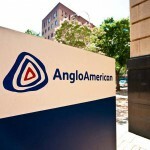 Anglo American sells off phosphates and niobium (0) April 29, 2016 Anglo American has sold its niobium and phosphates business to China Molybdenum for US$1.5 billion. Mount Isa line presents problems as another train derails (0) April 29, 2016 There have now been three derailments in the last six months as $50 million dollars has been spent to maintain the Mount Isa line. Rio Tinto to buy back US$1.359 billion in debt (0) April 28, 2016 Rio Tinto’s plan to repay debt early will see it purchase around US$1.359 billion in outstanding 2017 and 2018 notes.